The Community Arts Project (CAP) was established in Cape Town in 1977. Originally located at 17 Main Road, Mowbray, the facility moved to the old St. Philips School in Chapel Street in Woodstock in 1982. CAP was conceptualised and founded through the collective efforts of Peggy Delport, Ramel Roberts, Robert Tobias, Gavin Young and Lindy Wilson as the initial working committee. It was founded as a response to the 1976 Youth Uprising, as well as to the need for accommodation and facilities to be used by all artists, many of whom lived in marginalised communities or in areas where facilities were minimal if any. It played an important role in the development of Cape Town’s cultural life during apartheid. Like other community art centres, CAP was open to the public and provided artists with access to training and resources as well as helping to create a non-racial network of communication and exchange between artists during Apartheid. It was among the more politicised centres that emerged after 1976, such as The Federated Union of Black Artists (FUBA), Funda, and The Johannesburg Foundation all based in Johannesburg, Transvaal (now Gauteng). It helped shape the idea of culture as a form of resistance during the liberation struggle in the 1980s. Following the 1982 Culture and Resistance conference in Botswana a new identity was adopted as a reflection of involvement with the political and social concerns of communities and organisations. A poster workshop, Media Project (later renamed Media Works) was established, which was responsible for the majority of the silkscreen posters and T-shirts that were produced in the Western Cape, as well as many large scale banners that featured political events. CAP is regarded as one of the most active art centres using print media as a means of social transformation. 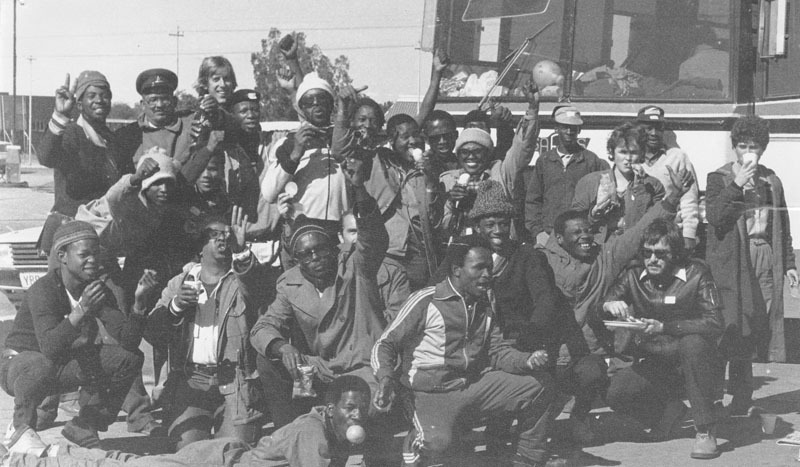 Many artists from the Cape went through CAP; among them were Sophie Peters, Hamilton Budaza, and progressive artists like Manfred Zylla, with a number of artists having been involved in the poster and media workshops, such as Jon Berndt, Lionel Davis, Gaby Cheminais and Chris Mtiya among others. CAP was started using funds from an artists’ gallery that many of the founding members were a part of; from there the budget for the first six months was covered by donations from institutions including other galleries, church councils as well as associate membership subscriptions. Thereafter CAP coordinated fundraising activities, events and exhibitions. After the 1994 elections, CAP was transformed from a training and accommodation facility into a formal education NGO for unemployed youth and adults. In 1998 CAP won the first ever Cultural Development Project Award from the Arts & Culture Trust of the President. In 2002 CAP and Media Works merged to form AMAC (Arts and Media Access Centre) which was located in central Cape Town. AMAC operated with a similar aim as CAP which was to empower marginalised communities through art and media training and social development. AMAC closed its doors in 2008 as a result of a lack of funding.